"Answers are a dime a dozen. What's rare in this world is a really great question. What's yours?" You can transform anyone’s future in just one question. 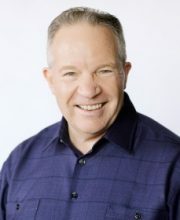 Dan Sullivan is the author of more than 30 publications. He is the founder of Strategic Coach Inc. and the creator of Strategic Coach Program. I was introduced to The Dan Sullivan Question a couple of months ago by one of my teachers, Bill Baren. Ever since it has become part of my consulting practices, with surprising results. Today, everyone is facing the huge challenge of adjusting to a continuously increasing complexity in all areas of life, thanks to short attention span, advertisements everywhere, and constant hunger to receive notifications. There are always more things to think about. This causes three problems. Please are experiencing greater confusion, isolation, and feelings of powerlessness, as things around them are forever changing. How do you sell your high-value product or service to people who have a greater number of choices than ever before? Especially if you are someone who provides a high-value offering in a face-to-face setting? The key is to ask just one important question. "If we were having this discussion three years from today, and you were looking back over those three years, what has to have happened in your life, both personally and professionally, for you to feel happy with your progress?" In the world of continually increasing complexity and everyone fighting to take a piece of attention of people, how do you differentiate yourself (in a client presentation or meeting) from anyone else? The answer is, with a question. Ask the question quoted above, and don’t say anything until the person answers. Become comfortable with an uncomfortable silence after this question if need be. Give people as much time as they need to answer this question. Don’t be surprised if they take an hour or two to answer this. Replaces confusion with clarity when they answer “what has to have happened for them to be happy with their progress”. Converts isolation into confidence when they realize that they can clarify their own future. Feelings of powerlessness transform into feelings of being capable as a result of their new clarity and confidence. "Specifically, what dangers do you have now that need to be eliminated, what opportunities need to be captured, and what strengths need to be maximized?" This is an add-on question to the question above. Though it is secondary, it is also tremendously powerful. It boosts the emotional impact of the first question. It also allows for reflection and a focus on simplicity in a complex world. This question makes it easy for people to articulate what is most important to them by making them think inside a particular structure which uses their most powerful motivating emotions. Confidence from capabilities and resources we already possess. These emotions motivate most of our thinking and achievement. They form the basis for how we act. People feel deprived of their emotional freedom with confusion, isolation, and powerlessness in the continuously growing complexity around them. This question suddenly gives them the sense of their emotional freedom. Just asking this question puts you in the right position in your subject’s mind as somebody who care about them and someone who can help them. When people are confused by complexity, fear is a great paralyzer. But when they become clear, fear becomes a great motivator. You can also use the power of “three” to prioritize the answer. Steve Jobs was famous for using the rule of three in the development of iPod. Everything people want should be accessible within three clicks. “Three” is simple, easy to remember and easy to recall. When taking notes for the question you asked, note down the top three dangers (or challenges), top three biggest possibilities of gaining something new, and top three existing resources and capabilities that need to be maximized. This will give you a list of 9 possible opportunities of engagement. Becoming clear to this level of detail gives a great feeling to anyone who is having this conversation with you. This is the greatest service you can provide during your prospecting meeting. If you can solve one or more of the above 9 challenges, you’ve got a sales conversation, without being overtly salesy. "I don't even know you. Why would I ever tell you anything about my future?" What people do in their business or life is a direct reflection of what is going on inside their mind, both consciously and subconsciously. If you face resistance such as the above quote, act the role of someone in charge. Close your books, thank for their time and walk away politely. And don’t look back. What if you are in a team setting and are presenting to a group of people and you see the resistance? This immediately shows that the group members are not aligned in their commitment and agendas. Don’t get yourself strangled in working with groups that go round in circles. In other words, tell them that you wanted to see if you could be useful to the prospect in his/her future. Since the prospect doesn’t want to tell you anything, there is nothing you could do for him/her. It’s not a good fit. And then walk away and give no second chance. People are used to vendors begging to buy their products or services. Vendors are willing to sell even if there is no fit. With you, if they are not a good fit, they can’t get your services no matter how much money they put on the table. That makes you valuable and rare. That feeds your inner power hungry beast too. That gives you tremendous confidence and people can sense this in your very next consultation. The Dan Sullivan Question is a quick read (88 pages in total) but highly actionable. Rather than focusing on a lot of abstract ideas, this book focuses on the ONE question and on the way this question transforms lives. I have been using this question in my own business with great results. I have noticed that almost every hyper-successful service I sign up for, is using a variation of this question. This book is for anyone who sells anything through consultation or presentation. The application of the ONE question is especially crucial for high-value offers. I am not exaggerating by saying that the outcome of including this ONE question in your practice is more quality sales. This question clearly helps your prospect see how their life will be with your help. Helping people gain a sense of clarity, confidence, and capability that was missing before is a great service. This clearly is valuable for your clients. You did it by making them more clear, confident and capable. A great quality service is useless if it doesn’t fit the bigger picture. Most people are confused about their bigger picture. A ‘good enough’ quality offering is great if it fits the strategy well. Test the results of this question on your next 10 engagements with your potential clients and see the difference. Give it a fair try before judging whether it’s working for you or not.